Do you have an innovative idea that you believe could make it as a commercial venture? Design To SucCEED provides an interactive, high-energy clinic environment to roll up your sleeves and discover the business value proposition for your idea. Designed for very early stage ideas, Design To SucCEED uses a dynamic coaching format with the proven “So what? Who cares? Why you?®” methodology and tools from wendykennedy.com (WKI). You will work collaboratively with a WKI Certified Coach in weekly, small group sessions to apply a business-focused lens to your idea and assess your readiness for the next stage of development – whether it’s incubation, licensing, or partnerships. What makes this program impactful? A Founder Focus – it’s about people with ideas coming together to explore the value. Small groups of founders working together to help each other discover the value of their ideas. It’s About Conversations – Active, dynamic conversations about business value, for people who are not ‘business people’. These conversations promote debates, laughter and intense discussion – and push founders to consider the possibilities for their ideas. You Draw, Brainstorm & Debate the Business Value – this is not business planning – this is a time to draw, sketch, model and map the possibilities for the future of an idea as a business. Business planning is a later stage activity. This is ideation around the business value. Action Oriented & Outcome Driven – this is not a training class! This is a meeting where decisions get made and the business value is defined. Every session ends with actions taken and an element of the business value decision made. 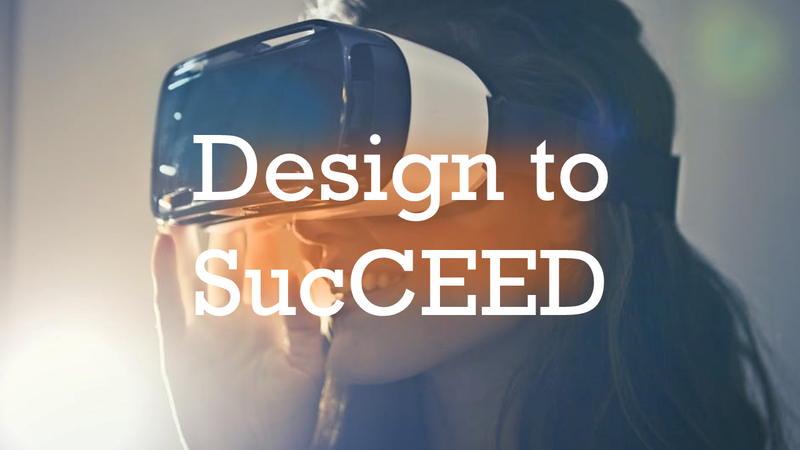 Design To SucCEED is delivered six sessions over six weeks, three hours per week and fully funded by Innovacorp. The curriculum for this program has been used at the European Space Agency, the Foundry at Purdue University, and Tech Fort Worth and now it is available in Nova Scotia. Phone us at (902)421-2333 to discuss how we can help bring your innovation to commercialization. Delivered by Craig MacMullin, MBA, CPA, CGA, President & CEO, CEED.